Hot Deskers , there is one more new co working space opening up in town. Called WeWork, this New-York based work space sharing company will open on Residency Road soon. And apart from office space, we hear there will be a swimming pool, jacuzzi and a rooftop bar too to unwind after work. And they are inviting sing ups right away! 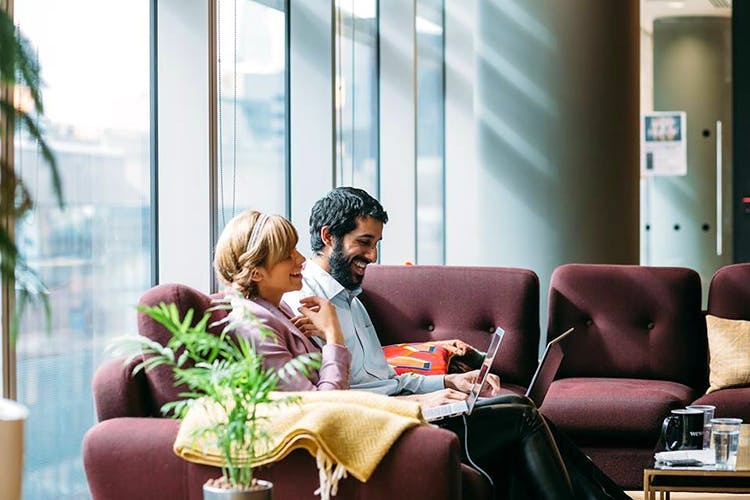 WeWork claims to have 90,000 members from 35 countries around the world and they cater to all kinds of business whether you are a one man show or a sizeable team. The Bangalore space will be operating out of Residency Road. The old Galaxy Theatre has been given a revamp to create six floors of co working spaces, conference rooms, and private offices. Expect giant windows, a huge atrium for open spaces, and even a swimming pool, jacuzzi, cabanas and a rooftop bar. Your after hours just got sorted. Apparently the first of its kind in the WeWork family. Plus, 190 car parks available guys! These guys also have bike storing facilities. We are going for a tour soon and you can sign up for one below as well. Mumbai and NCR will be up next after Bangalore. You can sign up for tours here.